This is my tenth Christmas without a baby. Once with a positive pregnancy test in October that would have been the answer to my “announce a baby on Christmas” prayer, but instead left me crying on the bathroom floor. That was the year the holidays were just too hard and I never hung a single decoration. The next time was in 2014 when our little to-be-adopted baby was born in October… and died in November without ever leaving the NICU. I’ve struggled lately, that’s the truth. I was pretty much a teary-eyed mess between the anniversary of our baby Annie’s birth and death. I noticed the big kids tiptoeing around me, with worried looks on their faces. I would force a smile for them, then sit in the kitchen and wipe tears for twenty minutes. It was the loss of what could-have-been, but that was only part of it. I was also crying because I hurt over what-may-never-be. So, friend, I get it. I get the feelings of hopelessness and the desire to just pull it all together but feeling so miserable it seems impossible. I get the tears that just fall whenever they want, not when you want them to. The way you lay crying into your pillow at night, or hold your friend’s baby and your whole chest hurts from the way your heart is breaking. I get the way the season brings so much wonder, and all the questions of whether or not you’ll ever be able to share your childhood wonders with your own child someday. This season I keep coming back to one phrase: TRUST WITHOUT RESERVATION. About a month ago I cried through a whole Bible Study one evening. I spent half the night trying to bite my lip hard enough to shock my body out of it’s choice to create tears, and eventually started flipping through my Bible. I saw it then. Right at the front. A neon orange sticky note with the words trust without reservation scrawled across it. The definition was written below it in sloppy cursive. True faith does not limit how God works, it just knows He will. Here I find the thing to cling to through another holiday season without a baby. My God doesn’t always move the way I want Him to, but He always moves. I know this in theory, but also in fact. Though I’ve never born the babies I long for, I have welcomed home two older adopted children. And it was all God, and all good. It wasn’t what I planned, or what I would have written into the script of my life– but it was still God working. I want a baby and I know God can work miracles in my body and my life to bring me one. Yet, I am choosing to trust without reservation. I am choosing, again today, to not place limits on how God works. I am choosing to say, Whatever (whenever) You determine, Lord. Wherever you are, God is calling you to unreserved trust. He may not move the way you want Him to, but He is moving. Know this today: You do not need to face this Christmas without God’s presence. And when you choose trust, you are ultimately choosing to experience God in a whole new way. <3 Norma, it was lovely to see you for those few minutes at Auggie's shower-- but I do look forward to a nice long talk some time! Thank you for opening your heart. This has been yet another of your posts that has built me up and encouraged me in my own journey trusting the Lord through very hard times. As someone who’s been an unwanted child I can speak from experience. I have ‘parents’ who never birthed me who I’d do anything for. I hate to be THAT commenter but I guess I have a different perspective. You see my home is broken and was filled w drama, conflict and violence growing up. So I have few ‘memories’ of the holidays and well now I have Cancer. But even as an adult I used to want someone to adopt me. To have me over for the holidays. I realize this will not take the sting away of wanting a child. But maybe you can pray for God to lead you to a home or children who are unwanted, believe me there are plenty of those. You may not even have to go thru any agency maybe someone at your church knows of some even teenagers who oft times get left out. I don’t know, I’ve asked for a husband many many years now, much to my dismay He has not answered how I’d hope, but there’s still ppl to be a blessing to to fill up empty areas of our hearts. You are so right, Alli! There are so many perspectives to look from. We DID in fact adopt two older children and it is wonderful to share the holidays with them and create memories. It doesn’t take away the sting of loss, of course, but it is its own kind of beauty. Natasha, I follow you on Facebook and I really enjoy reading your posts . They touch my heart in specific ways that God is speaking to as well. I have unfortunately become “hardened” about Christmas and well, any holiday, really. I’m realizing that it just hurts too much to continue to long for a child. I’ve cut myself off from even dreaming about it anymore (my sister just had her 5th a couple of months ago and oh, how that hurts). 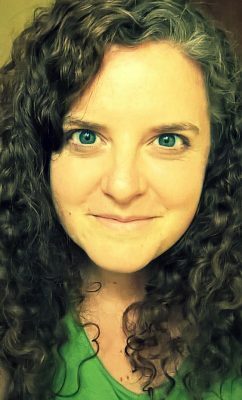 I’m still waiting what God has in store as nothing “feels right” (besides having our own, but I’m 42 now and my husband 5 years older and I have health issues that won’t resolve. Yeah, Abraham and Sarah?…). 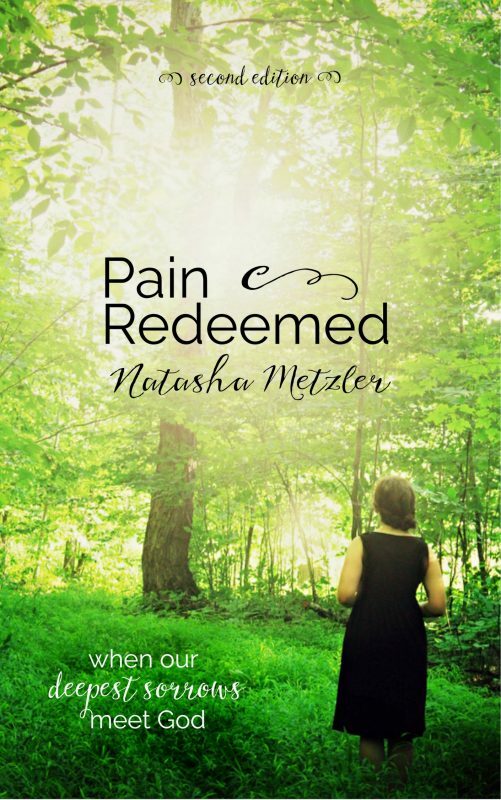 I read your e-book Pain Redeemed; really well written. 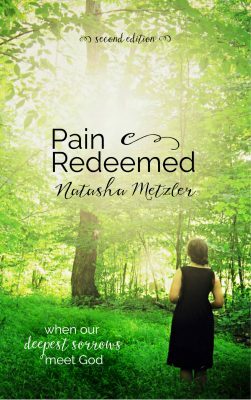 What deeply spoke to me through that book was that nothing will fulfill me – not having a baby or adopting a child or getting all of my health issues resolved, but only through God/Jesus can I find true fulfillment and happiness. I know that but it helps to be reminded again and again. 😉 So, anyway, I wanted to send you a little encouragement to keep up what you’re doing. 🙂 Have a Merry Christmas. I will too as I keep my focus on the true meaning of it. God bless. Oh, Maria, I understand so well. Thank you, thank you, thank you for taking the time to write and encourage me! I need the reminder. It’s my own redemption, you know? God using even this for His glory. I pray the Lord’s grace into you this holiday season. I pray that He gives you a glimpse of His redemption in you. WOW. Natasha, this is just so good. I too have dreamed of announcing a baby on Christmas. And I too know the heart break. God has yet decided to give us a baby, but as you have just reminded and encouraged me, He is still good and He still provides. Always. Thank you for being so vulnerable here. I am always so encouraged by you! Wishing you and your family a very merry Christmas, Ferial. Ferial, praying the Lord’s grace into you this Christmas season! Thank you for taking time to encourage me in return. It blesses me so much to hear from readers! And I totally understand that! 💜 Infertility is a journey with lots of twists & turns, and we’re all on different paths at different times. Thankfully God is with us in EVERY path 😊 And I love your goal because it’s mine too! I love the way you write about it. It’s so encouraging & a good reminder to trust. I love your story, Stephanie. The way God has eased the sorrow and filled your life to overflowing. That’s just the way He is! And it’s beautiful. You’ve demonstrated “trust without reservation” in an incredible way! It has been people like you who encourage me to keep writing through these seasons– in hopes that we can all be mentored in using everything (even infertility) as a platform for knowing God more and sharing His love with those around us.